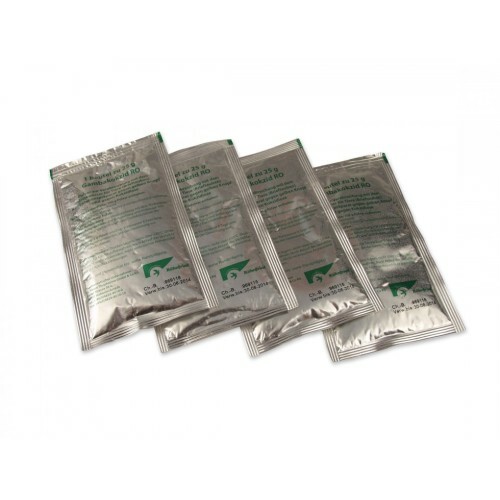 Gambakokzid RO - 2 sachets of 25gr by Rohnfried is combination preparation for treatment of trichomoniasis (Canker) and coccidiosis for racing pigeons. Dosage: 2 gr powder per 1 litre of drinking water over a period of 6 days. Following this treatment we recommend administration of Multivitamin T 13 Dragees or Gervit-W for pigeons.